Description: The nail plate is composed of three layers. It is naturally the visible, outer layer that is particularly sensitive to outside elements and can very easily be damaged by too much sun, cold weather, detergents. It’s specific formula has been developed to give nails resistance. 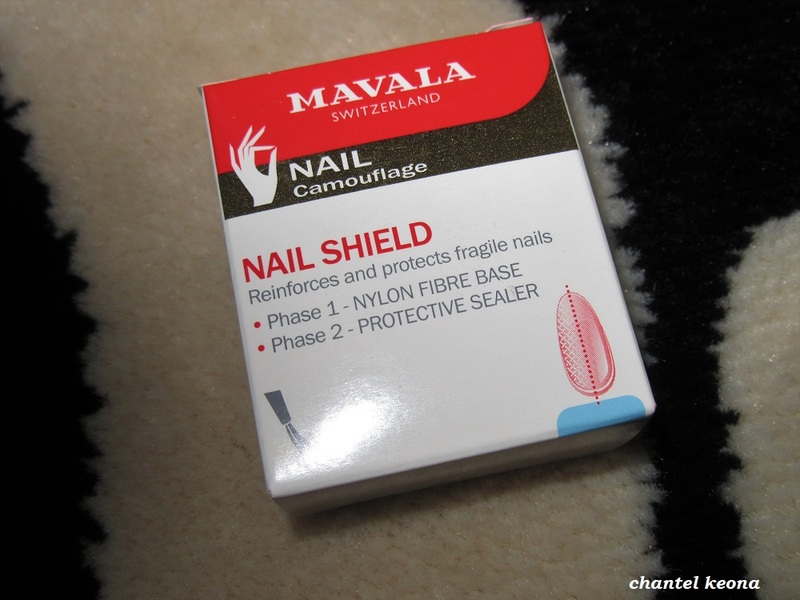 Nail Shield forms a strong physical protection to protect nails from daily tasks and other damaging elements. Then, being protected from breaking, flaking and impacts and with a combined treatment such as Mavala Scientifique and/or Nailactan the nail can then correctly regenerate and strengthen nail. Phase II: Apply a coat of sealer and leave on to dry completely. If the surface stays rough apply a second coat. Continue with your manicure by applying a nail polish or a top coat only. Allow to dry thoroughly. This is a product that is amazing for at-home manicures, it is really helping my nails to thrive and growth. I am very happy that I tried this product and I definitely recommend this product to all of my readers. What product(s) do you use to help your natural nails grow? Let me know in the comments.